Disappointment is growing among experts and activists over discussions by a government panel tasked with tackling sexual harassment, an issue drawing increasing attention amid the #MeToo movement and after a top bureaucrat’s resignation last year due to alleged harassment of a female reporter. A report recently compiled by the Ministry of Health, Labor and Welfare’s panel on workplace harassment and female empowerment did not call for punitive measures for sexual harassment, apparently out of consideration for the business community, which is said to be concerned about facing higher litigation exposure. The report, which included proposals for revisions of labor and female empowerment laws, only recommended including a statement saying that any form of harassment “should not be tolerated” and urged private companies to take preventive measures. “What many victims want is formal recognition that they have been sexually harassed, apologies from the perpetrators and prevention of such acts. 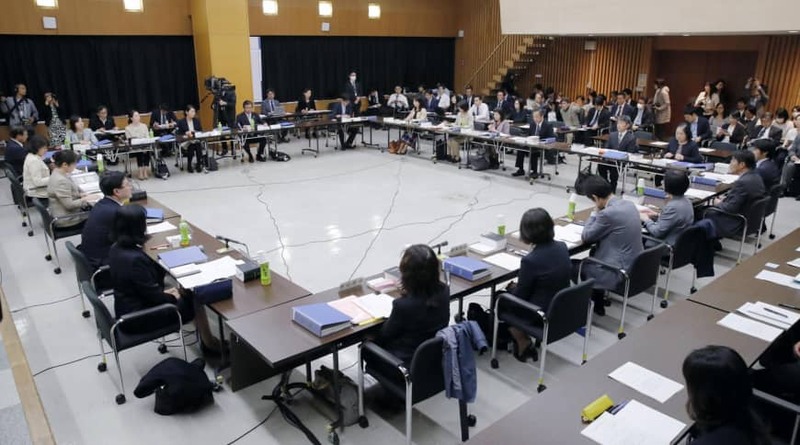 It is regrettable that their voices were not taken into account,” said Kaori Sato, chairwoman of Purple Union, which deals with workplace harassment and discrimination cases across Japan. Sato criticized the report for containing only ideals rather than actions. Five labor unions, including Purple Union, sent a petition last November requesting that the panel include a provision in its report that explicitly bans sexual harassment. There was disagreement between the labor side on the panel and representatives of management, who argued that each company should be responsible for dealing with sexual harassment before taking matters to regional labor bureaus. 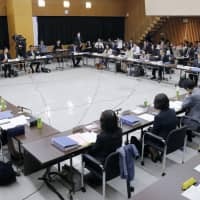 “Management is perhaps wary that their responsibility will be questioned through litigation and in other ways,” said Kumie Inoue, executive director of the Gender and Employment Equality Department at the Japanese Trade Union Confederation, the country’s largest labor organization. Shino Naito, a researcher at administrative agency Japan Institute for Labor Policy and Training who is versed in sexual harassment issues, says Japan remains far behind other nations in addressing the problem through regulatory measures. “It’s a shame that the (panel’s) debates have made no progress,” Naito said. Some experts say the government started off on the wrong foot by trying to conclude discussions without fully studying actual harassment cases and understanding what the key issues are. In addition to harassment itself, consideration needs to be given to victims’ economic difficulties, she said. Those who are forced to give up their jobs and live in destitution as a result are denied the right to live, she added. According to a labor ministry survey of some 3,600 firms in fiscal 2017, 10 years after the government made it mandatory for companies to set up a dedicated office for receiving complaints and offering consultations about sexual harassment, only 39.4 percent of firms had such sections. Labor bureaus across the nation received 6,808 requests for advice on dealing with sexual harassment in fiscal 2017. Dispute settlement was sought in just 34 cases. Experts say the low number is attributable to the current settlement system under which responsibility typically does not rest entirely with harassers, and victims are often forced to compromise. Victims tend to avoid taking their cases to court out of fear that their privacy will be threatened and that they could draw accusations of having invited harassment.